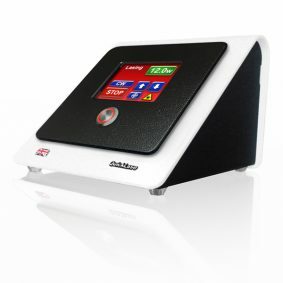 We have a choice of soft tissue diode lasers for ultimate cutting and coagulation, whitening and pain therapy. Lasers replace two instruments in the vast majority of cases, the scalpel and the electrosurgery unit as well as retraction cord. Used by dentists including Orthodontists, Periodontists, Endodontists, Implantologists and Hygienists. The 6w Dual or 12w Dual lasers are the 4th generation All-in-One laser with a large 4″ colour screen allowing for ease of use and functionality. The 6w Dual or the 12w Dual lasers comes with both 810nm and 980nm adjustable wavelengths for better coagulation and lasing, you can use both wavelengths together or individually, three lasers in one: Dual 810nm+980nm, 810nm, 980nm. Optimal melanin absorption of 810nm wavelength for better coagulation with the optimal water absorption of a 980 nm wavelength for better ablation lasing, in addition to the 650nm aiming beam. Super pulsed laser at 20,000 herts making it 10 times greater than traditional diode lasers. 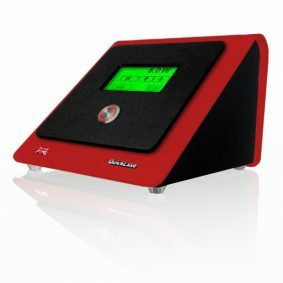 Made in the UK by Quicklasein Ramsgate-Kent United Kingdom, giving you direct backup & support. All our laser cases are made from unique aluminium light steel for 100% EMC protection. 7 key applications: Surgery, implants, coagulation, perio, endo, whitening and pain therapy LLLT. 20 multi-languages presets procedures including pictorials and help screens. 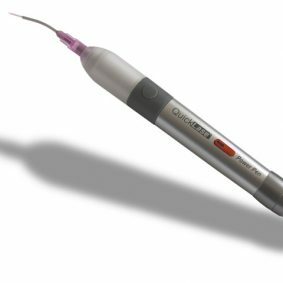 The Quicklase Dentalase model comes complete with all the accessories & training from BILD including the All-in-One handpiece, Whitening prism & Therapy prism attachments. Ask us for our special offers. The 12w Dual plus laser with 5 procedure shortcuts for easy of use and 24 multi-language clinical pre-sets including pictorials and help screens, it is the 5th generation All-in-One laser with a large 6″ colour screen. The 12w Dual laser comes with both 810nm and 980nm adjustable wavelengths for better coagulation and lasing, you can use both wavelengths together or individually, three lasers in one: Dual 810nm+980nm, 810nm, 980nm. Optimal melanin absorption of 810nm wavelength laser for better coagulation with the optimal water absorption of a 980 nm wavelength laser for better ablation lasing in addition to the 650nm aiming beam. Made in the UK by us Quicklase in Ramsgate-Kent United Kingdom giving you direct backup & support. 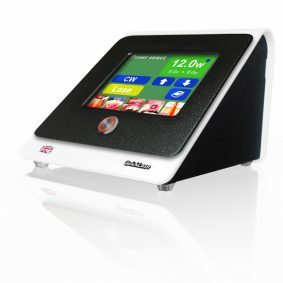 All our laser cases are made from special aluminium light steel for 100% EMC protection. Hand held laser pen. Good enough for minor lasing procedures.